Jacob Chambers is a 14 year old para swimmer based in Manchester. It’s Jacob’s dream to swim in the Great Britain Para Swimming team one day and is working hard to make this dream come true. 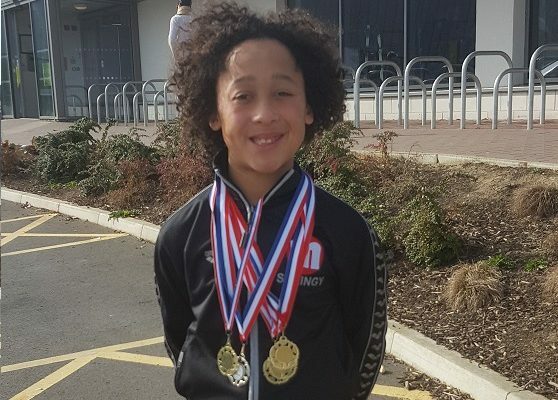 Jacob was recently talent spotted by the ASA England Para Pathway Officer at the National Para Swimming Championships held at the Manchester Aquatics Centre in December. Jacob has had some fantastic results so far this season, competing in the S8 category in the 10-14 age group. Results can be seen below. Jacob also qualified for the Swim England Summer National Meet gaining 2 new Personal Best’s in the 100 Backstroke and 50 Freestyle, he came an impressive 27th in his 100 Backstroke and 22nd in the 50 Freestyle, this was an open age group, multi disability event so it’s a fantastic result for Jacob as he is only 14 years old competing against grown men. We are very proud to be supporting Jacob and are behind him on his path to success!